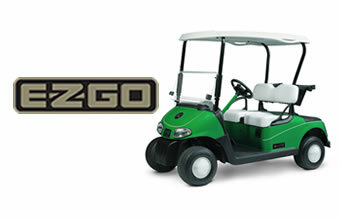 The Freedom RXV 60th Anniversary golf car offers the unmatched performance of the RXV plus retro styling cues in tribute to E-Z-GO’s first vehicle in 1954. Highlight features include the original Glenwood Green exterior color and painted steering column to match. Retro decals, white pin-stripes, baby moon wheel covers and oyster bucket seats also add character that speak to E-Z-GO’s stylish heritage.